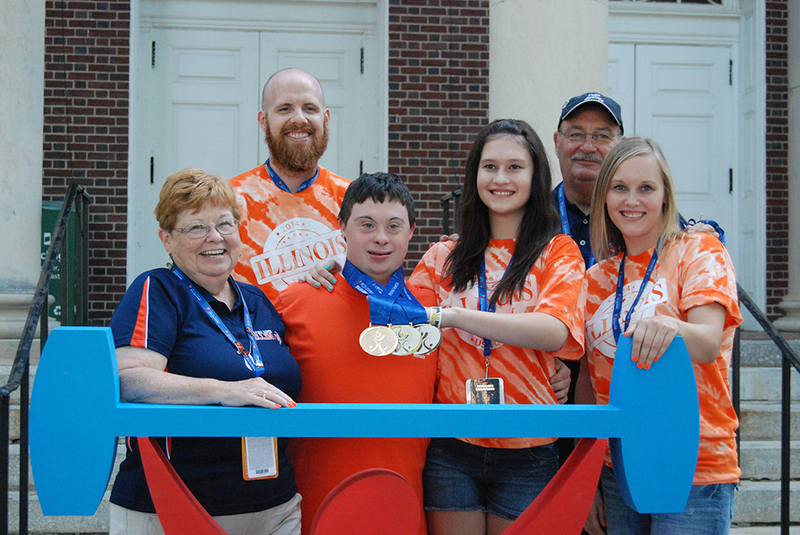 On Monday, June 16, the first Illinois athlete won a medal at the 2014 Special Olympics USA Games. 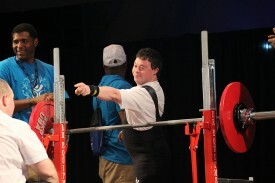 Powerlifter John Henley actually earned four medals – a bronze for benchpress and silvers in squat, deadlift and triple combo. John, 27, of Marion is coached locally by his father, Rich Henley, who traveled to New Jersey along with John’s mother, Jane, brother Eric, sister Crystal and niece Ellie. All were on hand Monday to witness John’s accomplishment. John has been involved in Special Olympics for 6 years, competing in athletics, basketball, bocce, bowling, softball, volleyball and snowshoeing in addition to powerlifting. When he’s not busy training, John is coaching other athletes – he became a certified coach in 2011 and is currently certified in 7 sports. 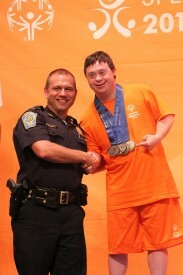 He is also a Global Messenger, singing the praises of Special Olympics to the public. Through Special Olympics, John has made friends all over the country. He has discovered that he is good at a lot of things, and among the best in a few. In fact, he is a three-time state champion in USA Powerlifting Illinois competition. Special Olympics has been life-changing for John and his family, according to his father, who along with his wife, started an agency which now has 30-40 athletes participating. “John has gone from a 170-pound lump, staying in his room to play video games and listen to music alone, to a 150-pound athlete with multiple awards and many friends,” said Rich.